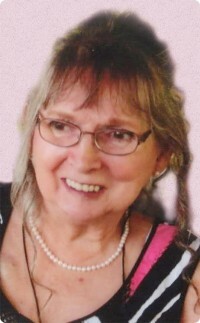 Patricia Jean Weaver, 78, of New Bethlehem, PA passed away Wednesday, January 9, 2019, at Clarview Nursing and Rehabilitation Center in Sligo. She was born August 14, 1940 in Rimersburg, PA, the daughter of Stanley O. and Althea Jean (Swartz) Craig. Patricia graduated from Union High School in 1958 and worked at Eckerd's Drug Store in Edinboro and Thrift Drug Store in Butler. She was of the Catholic faith and loved tending to her indoor and outdoor plants. Patricia also enjoyed collecting stuffed animals and plastic canvas houses. She is survived by her son, James Patrick Weaver, of Pittsburgh, PA; sister, Judith E. Hiles and husband, William, of Rimersburg; and brother, Roger S. Craig and wife, Laura, of Perryville, PA.
Patricia was preceded in death by her parents and husband, James E. Weaver. The family will receive friends from 12 PM until the time of the memorial service at 1 PM on Wednesday, January 16, 2019, at the Bauer-Hillis Funeral Home and Cremation Services, 758 Main Street, Rimersburg, with the Rev. Samuel Bungo officiating. Burial will be in Lawsonham Cemetery, Rimersburg, PA.